It's finally out!! 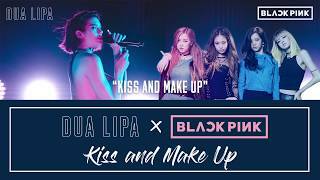 KISS AND MAKE UP - Dua Lipa's first ever collaboration with Korea's BLACKPINK (블랙핑크)!! We've waited a long time for this and I'm sure you have too. Enjoy our Lyric / Karaoke video! Which Form Of Water Are You Most Like?